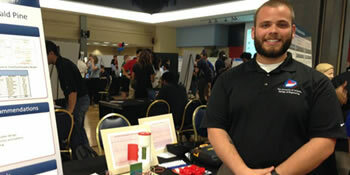 The Engineering Design Program is one big reason recruiters are looking to hire UA Engineering students and graduates. All undergraduates take design courses and complete design projects that parallel real life – from portable solar ovens and water purifiers early on to date palm pollinating drones and data center robotics as seniors. Most students take the yearlong ENGR 498 design course and participate in the UA Engineering Design Program, which culminates in Design Day. Talented and motivated engineering seniors spend the academic year working on your prototypes, to your specifications, and with the results becoming your intellectual property. Many of our industry partners also mentor senior design teams, serve as judges, and award prizes on Design Day. For more information, please visit the UA Engineering Design Program website, email Ara Arabyan or Heather Moore, or call 520.621.3647. 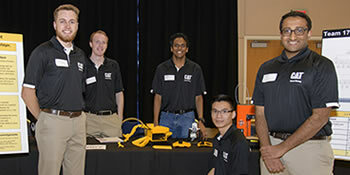 For design teams, supervised and mentored by engineering professionals, the Engineering Design Program is a chance to experience the work world and make job connections. For industry partners, it’s an opportunity to get to know and work with talented students. A 2018 design team, sponsored by Caterpillar, designed and built a small-scale prototype for a surface mining machine to replace electric rope shovels and hydraulic rope shovels. 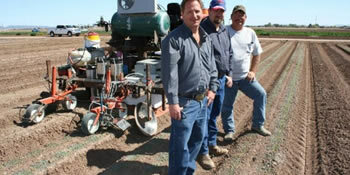 “This experience will help me get a job and perform it well,” said team member Dylan Guenther. 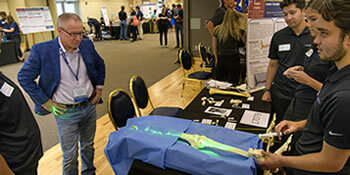 “This could open doorways to rethink the way we do orthopedic surgery,” said Daniel Medrano. His 2018 design team designed a system that uses a non-invasive laser beam shining from ankle to hip to accurately align the two body parts during ankle replacement surgery. Phoenix-based Honeywell Aerospace has been supporting projects and scoping out talent in the UA’s Engineering Design Program for more than a decade. 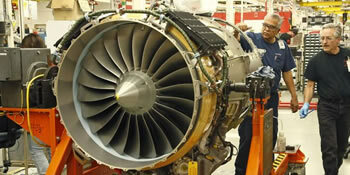 “Some really good engineers come out of the program,” said company engineer Alex Mirzamoghadam. 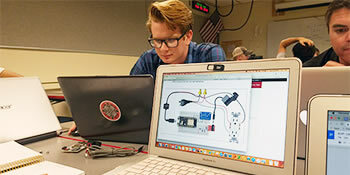 “People can determine what they can do to save money without changing their energy use,” said Dylan Carlson, whose 2018 design team, sponsored by TEP, created a device to measure power usage, calculate cost, and display the information. 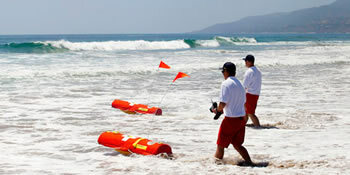 Hydronalix sponsored teams to refine EMILY, a robotic rescue buoy. One project was a canister to automate deployment, the other a sonar addition for underwater search and rescue. 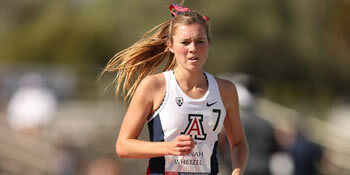 “They’ll become excellent engineers,” said CEO Tony Mulligan of UA students. 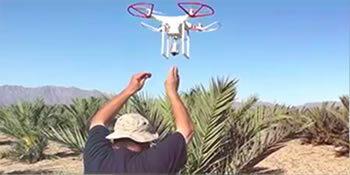 Students created a more efficient, semi-autonomous pollination drone for date palms at the Gowan Company in Yuma, Arizona. They won the top 2017 Design Day prize. 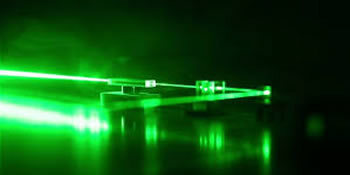 A UA entrepreneurial program is carrying on the project, and a patent is on the horizon. Xeridiem sponsored development of a sensor to reduce medical errors in nasogastric feeding tube placement. “We could not be more delighted with the outcome,” said Paul Melnychuck, senior director of business development, marketing and innovation. 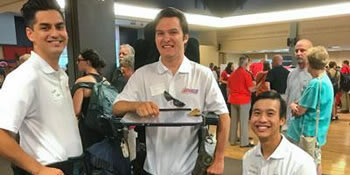 Within two weeks of using a student-designed exoskeleton, an accounting undergrad could stand up and maintain his balance after years in a wheelchair. Hermelinda Bristol is pursuing a patent for the device with the hopes it will help more people like her son. “We want to make the first small, affordable and personal defibrillator that people can put in their pockets and easily carry with them,” said cardiologist Dr. Carter Newton, founder of CardioSpark, which sponsored a team to create the prototype. Multidisciplinary teams of four to six seniors amaze the crowds in late April or early May with the results of their yearlong, sponsored team projects. Design Day often leads to cash prizes, patents and commercialized products, and job offers. 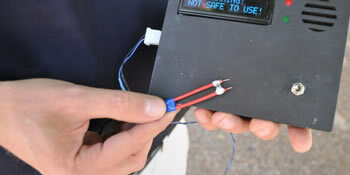 Visit the Engineering Design Program website for more information. Thank You, 2018 Engineering Design Program Supporters!